A stimulating conversation with a data center executive got me thinking about modeling for a Green Data Center, and what method would make sense for modeling method. Given my software background, my first look was at Universal Model Language (UML). Unified Modeling Language (UML) is a standardized general-purpose modeling language in the field of software engineering. UML includes a set of graphical notation techniques to create abstract models of specific systems, referred to as UML model. After looking at how UML could be used in IT for data center design, I hit upon Systems Modeling Language (SysML). The Systems Modeling Language (SysML), is a Domain-Specific Modeling language for systems engineering. It supports the specification, analysis, design, verification and validation of a broad range of systems and systems-of-systems. The dominant group influencing the creation of SysML were aerospace and defense contractors who build complex systems integrating hardware, software, and people. 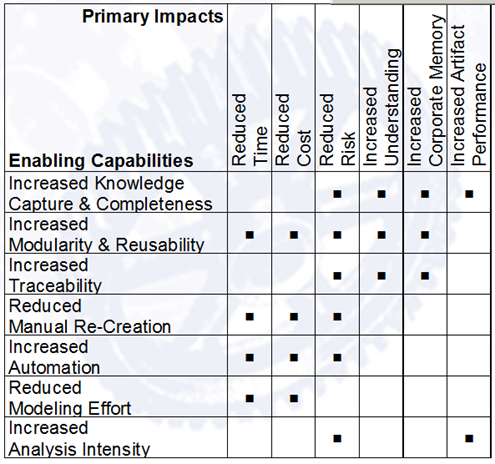 A SysML FAQ points out strengths of SysML vs. UML. SysML expresses systems engineering semantics (interpretations of notations) better than than UML. It reduces UML's software bias and adds two new diagram types for requirements management and performance analysis: Requirement diagrams and Parametric diagrams, respectively. SysML is smaller and easier to learn than UML. Since SysML removes many software-centric and gratuitous constructs, the overall language is smaller as measured in diagram types (9 vs. 13) and total constructs. SysML allocation tables support various kinds of allocations (e.g., requirement allocation, functional allocation, structural allocation) thereby facilitating automated verification and validation (V&V) and gap analysis. SysML model management constructs support the specification of models, views, and viewpoints and are architecturally aligned with IEEE-Std-1471-2000 (IEEE Recommended Practice for Architectural Description of Software-Intensive Systems). Looking for whether anyone who has used SysML in data center construction I hit upon a google forum thread. Do any of you know or have heard of SysML being used to model building systems in the construction-industry (parametric building design, logistics/processes, etc)? Here is the response from a SysML architect. environment. This is where the SysML modeling tools can help a bunch. Why would you model? Consider this matrix for benefits of modeling.